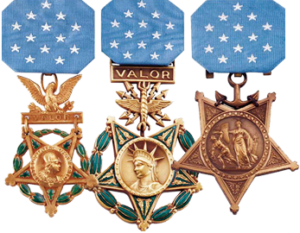 Listed below are the recipients of the Distinguished Service Cross awarded for valor during the War on Terror which commenced in September of 2001 following the attack on the World Trade Center, the Pentagon and an attempted attack on the White House. The President of the United States takes pleasure in presenting the Distinguished Service Cross to Daniel A. Briggs, Staff Sergeant, U.S. Army, for extraordinary heroism in action on 26 April 2004, during combat operations against an armed Iraqi Insurgent force while supporting United States Marine Corps operations in Fallujah, Iraq. Staff Sergeant Briggs repeatedly subjected himself to intense and unrelenting enemy fire in order to provide critical medical attention to severely injured Marines and organized defensive operations. He set the highest example of personal bravery through his demonstrated valor and calmness under fire. Staff Sergeant Briggs' valiant actions prevented enemy insurgent forces from over-running the United States Force's position and were directly responsible for prevention of additional United States military casualties or Prisoners of War by the enemy. His actions under fire as a combat medic were performed with marked distinction and bravery. Staff Sergeant Briggs' distinctive accomplishments are in keeping with the finest traditions of the military service and reflect great credit upon himself, this command, and the United States Army. The President of the United States takes pleasure in presenting the Distinguished Service Cross to James H. Coffman, Jr., Colonel, U.S. Army, for exceptionally valorous conduct while assigned as the Senior Advisor to the 1st Iraqi Special Police Commando Brigade during a lengthy battle on 14 November 2004 in Mosul, Iraq, during which the unit likely would have been overrun were it not for the courageous leadership of Colonel Coffman and the one Commando officer not wounded. At approximately 1030 hours on 14 November, Colonel Coffman moved with a Commando Quick Reaction Force (QRF) to reinforce a Commando platoon under attack at the Four West Police Station in Mosul. As the QRF neared the besieged platoon, it came under intense rocket-propelled grenade, mortar, machinegun, and AK-47 fire by a large insurgent force. Over the next four hours, the enemy repeatedly assaulted the Commandos' position, at times culminating their attacks twenty meters from Colonel Coffman's location. With all but one of the commando officers killed or seriously wounded by the initial enemy fire, Colonel Coffman exhibited truly inspirational leadership, rallying the Commandos and organizing a hasty defense while attempting to radio higher headquarters for reinforcements. Under heavy fire, he moved from Commando to Commando, looking each in the eye and using hand and arm signals to demonstrate what he wanted done. At one point, an enemy round shattered Colonel Coffman's shooting hand and rendered his M4 rifle inoperable. After bandaging his hand, Colonel Coffman picked up AK-47s from Commando casualties and fired them with his other hand until each ran out of ammunition. With the assistance of the one remaining Commando officer, Colonel Coffman redistributed ammunition among the uninjured commandos until he had only loose ammunition that he loaded by placing magazines between his legs and using his one working hand. Throughout this period, he repeatedly demonstrated exceptional courage and an extraordinary example to the commandos as they repulsed attack after attack by the enemy. Four hours after the start of the battle, a second Commando element arrived and Colonel Coffman guided them to his position. Even after their arrival, he continued to direct the fight, refusing to be evacuated until the enemy was defeated. Shortly thereafter, attack helicopters also arrived, followed closely by a Stryker Brigade QRF, and Colonel Coffman used Iraqi radios to direct air strikes and to provide vital information on the location of enemy and friendly forces. 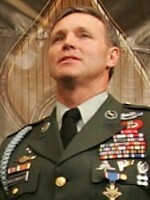 After supervising the evacuation of several dozen wounded Commandos, Colonel Coffman led a squad-sized element to the Four West Iraqi Police Station, fifty meters ahead of the Strykers, to make contact with the Commandos still in the station. After they linked up, the Strykers moved forward, and attack helicopters engaged the buildings occupied by the enemy, following which Colonel Coffman returned to his original position to ensure that all of the Iraqi casualties had been evacuated. Only then did he consent to be evacuated for surgery for his own serious wound. During the fierce four-hour battle, twelve Commandos were killed and 42 were wounded. Twenty-five enemy were killed and many dozens more were wounded. The personal courage and heroic actions displayed throughout the fight by Colonel Coffman - in the face of heavy enemy fire and repeated attacks - were absolutely critical to defeating the enemy force and to saving Iraqi lives. Colonel Coffman's gallantry in action was in keeping with the finest traditions of the American military and reflects great credit on him, the Multinational Force-Iraq, the U.S. Special Operations Command, and the United States of America. The President of the United States takes pleasure in presenting the Distinguished Service Cross to David F. Cooper, Chief Warrant Officer Five, U.S. Army, for extraordinary heroism in action on 27 November 2006, while serving with the 160th Special Operations Aviation Regiment (Airborne), during combat operations against an armed enemy during aerial flight as an AH-6 Flight Lead Pilot for the Joint Task Force in support of Operation IRAQI FREEDOM. Without regard for his personal safety, Chief Warrant Officer 5 Cooper continued to provide effective fires for the Joint Task Force ground forces despite the presence of effective enemy fire. His actions destroyed several enemy positions, which prevented the ground forces from sustaining heavy casualties and allowed them to hold their position. His superb actions in flight, especially at one point as the lone air support aircraft under terrific enemy fire, contributed greatly to the mission success. Chief Warrant Officer 5 Cooper’s distinctive accomplishments are in keeping with the finest traditions of the military service and reflect great credit upon himself, the Joint Task Force and the United States Army. The President of the United States takes pleasure in presenting the Distinguished Service Cross to Christopher Hamel Corriveau, Sergeant [then Specialist], U.S. Army, for exceptional valor and intrepid actions above and beyond the call of duty while serving with Headquarters and Headquarters Company, 2d Battalion, 505th Parachute Infantry Regiment, 3d Brigade Combat Team, 82d Airborne Division, while repelling an overwhelming and heavily armed enemy force on 26 August 2007 during Operation IRAQI FREEDOM 06-08. Specialist Corriveau's exceptional courage, tenacity and tactical prowess under intense enemy fire and close combat contributed to the defeat of a concerted enemy effort to overrun his sniper position. Surrounded and attacked by an enemy force ten times superior to that of his own, Specialist Corriveau and his fellow Paratroopers valiantly repelled the enemy attack with withering small arms fire and grenades. His four-man sniper team courageously fought off an overwhelming enemy force for control of the rooftop for over ten minutes in close combat, killing or wounding at least ten enemies in the process. 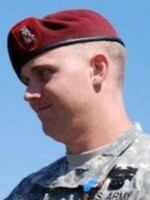 His distinguished valor, unquestionable devotion to duty and loyalty to his fellow Paratroopers in the most dire of circumstances are in keeping with the finest traditions of military heroism and reflect great credit upon himself, Task Force Two Panther, 3rd Brigade Combat Team, 82nd Airborne Division, Task Force Lightning, and the United States Army. The President of the United States takes pleasure in presenting the Distinguished Service Cross to Donald R. Hollenbaugh, Master Sergeant, U.S. Army, for extraordinary heroism in action on 26 April 2004, during combat operations against an armed Iraqi insurgent force while supporting United States Marine Corps operations in Fallujah, Iraq. Master Sergeant Hollenbaugh demonstrated the highest degree of courage and excellent leadership through his distinguished performance as Team Leader while engaged in Urban Combat Operations. His heroic actions throughout one of the most intensive firefights of the Operation Iraqi Freedom campaign were directly responsible for preventing enemy insurgent forces from overrunning the United States Force. Master Sergeant Hollenbaugh personally eliminated multiple enemy-controlled weapon positions, essential in turning the tide of the enemy's ground-force assault upon a United States Marine Corps Platoon. His actions under fire as a Leader were performed with marked distinction and bravery. Master Sergeant Hollenbaugh's distinctive accomplishments are in keeping with the finest traditions of military service and reflect great credit upon himself, this Command, and the United States Army. The President of the United States takes pleasure in presenting the Distinguished Service Cross to Walter Bryan Jackson, First Lieutenant [the Second Lieutenant], U.S. Army, for extraordinary heroism in action while serving as a Company Fire Support Officer with Company A, Task Force 1-36 (1st Battalion, 36th Infantry Regiment), Multi-National Corps-Iraq, on 27 September 2006, while engaged in combat operations against an armed insurgent force in Al Anbar Province, Iraq, during Operation IRAQI FREEDOM. While recovering a disabled vehicle, Second Lieutenant Jackson's unit came under heavy enemy machine gun fire. Despite the danger, he applied first aid to a severely wounded comrade and was then hit in his thigh with a bullet. 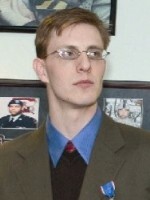 Upon regaining consciousness after being shot, Second Lieutenant Jackson alternated between returning fire and administering first aid to the Soldier. Second Lieutenant Jackson was hit again with machine gun fire as he helped carry his wounded comrade to safety, but he never faltered in his aid. Although his own severe wounds required immediate evacuation and surgical care, Second Lieutenant Jackson refused medical assistance until his wounded comrade could be treated. 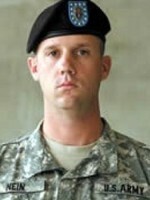 Second Lieutenant Jackson's selfless courage under extreme enemy fire were essential to saving another Soldier's life and are in keeping with the finest traditions of military service, reflecting great credit upon himself, Company A, Task Force 1-36 Infantry, and the United States Army. The President of the United States takes pleasure in presenting the Distinguished Service Cross to Mark E. Mitchell, Major, U.S. Army, for extraordinary heroism in action while serving with Headquarters and Headquarters Detachment, 3d Battalion, 5th Special Forces Group (Airborne), during the period of 25 to 28 November 2001. 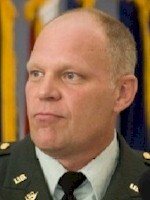 Major Mitchell distinguished himself while engaged in combat operations during Operation Enduring Freedom. 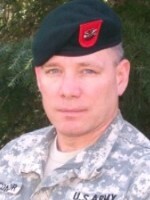 As the Ground Force Commander of a rescue operation during the Battle of Qala-I-Jang Fortress, Mazar-e-Sharif, Afghanistan, Major Mitchell ensured the freedom of one American and the posthumous repatriation of another. His unparalleled courage under fire, decisive leadership and personal sacrifice were directly responsible for the success of the rescue operation and were further instrumental in ensuring the city of Mazar-e-Sharif did not fall back in the hands of the Taliban. His personal example has added yet another laurel to the proud military history of this Nation and serves as the standard for all others to emulate. Major Mitchell's gallant deed was truly above and beyond the call of duty and is in keeping with the finest traditions of the military service and reflects great credit upon himself, the 5th Special Forces Group (Airborne), the United States Army, and the United States of America. The President of the United States takes pleasure in presenting the Distinguished Service Cross to Eric Alan Moser, Sergeant [then Specialist], U.S. Army, for exceptional valor and intrepid actions above and beyond the call of duty while serving with Company C, 2d Battalion, 505th Parachute Infantry Regiment, 3d Brigade Combat Team, 82d Airborne Division, while repelling an overwhelming and heavily armed enemy force on 26 August 2007, during Operation IRAQI FREEDOM 06-08. 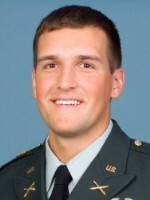 Sergeant Moser's exceptional courage, tenacity and tactical prowess under intense enemy fire and close combat contributed to the defeat of a concerted enemy effort to overrun his sniper position. Surrounded and attacked by an enemy force ten times superior to that of his own, Sergeant Moser and his fellow Paratroopers valiantly repelled the enemy attack with withering small arms fire and grenades. His four-man sniper team courageously fought off an overwhelming enemy force for control of the rooftop for over ten minutes in close combat, killing or wounding at least ten enemies in the process. 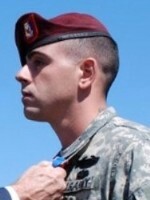 His distinguished valor, unquestionable devotion to duty and loyalty to his fellow Paratroopers in the most dire of circumstances are in keeping with the finest traditions of military heroism and reflect great credit upon himself, Task Force Two Panther, 3rd Brigade Combat Team, 82nd Airborne Division, Task Force Lightning, and the United States Army. The President of the United States takes pleasure in presenting the Distinguished Service Cross to Timothy Nein, Staff Sergeant, U.S. Army, for extraordinary heroism while serving as a Squad Leader with the 617th Military Police Company, 503d Military Police Battalion (Airborne), 18th Military Police Brigade, Multi-National Corps-Iraq, on 20 March 2005, while engaged in combat operations during Operation IRAQI FREEDOM. While patrolling a supply route, Staff Sergeant Nein's squad observed a convoy of semi-tractor trailers that was being ambushed by approximately 50 anti-Iraqi insurgents with automatic weapons and rocket propelled grenades. He responded by dismounting his squad and leading them in a counterattack to flank the enemy trench line. Still under heavy fire, Staff Sergeant Nein displayed great courage by directing an assault on an enemy trench line, firing his weapon and throwing hand grenades to suppress the enemy. His squad killed several insurgents, captured large quantities of weapons and ammunition, and saved the lives of numerous convoy members. Staff Sergeant Nein's bravery is in keeping with the finest traditions of the military service and reflects great credit upon himself, the 503d Military Police Battalion (Airborne), the 18th Military Police Brigade, and the United States Army. The President of the United States takes pleasure in presenting the Distinguished Service Cross to Brendan O'Connor, Master Sergeant, U.S. Army, for extraordinary heroism in combat as the Senior Medical Sergeant for Special Forces Operational Detachment Alpha 765 (ODA-765), Company A, 2d Battalion, 7th Special Forces Group (Airborne), in support of Operation ENDURING FREEDOM, in Panjawal District, Kandahar Province, Afghanistan. 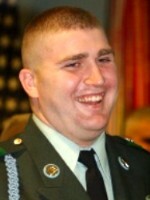 On 24 June 2006, during Operation Kaiki, Sergeant O'Connor led a quick-reaction force to reinforce a surrounded patrol and rescue two wounded comrades. He maneuvered his force through Taliban positions and crawled alone and unprotected, under enemy machinegun fire to reach the wounded soldiers. He provided medical care while exposed to heavy volumes of Taliban fire, then carried one of the wounded 150 meters across open ground to an area of temporary cover. He climbed over a wall three times, in plain view of the enemy, to assist the wounded soldiers in seeking cover while bullets pounded the structure around them. Sergeant O'Connor assumed duties as the detachment operations sergeant and led the consolidation of three friendly elements, each surrounded, isolated, and receiving fire from all directions. His remarkable actions are in keeping with the highest traditions of military heroism and reflect distinct credit upon himself, Special Operations Command Central, the United States Army and the Department of Defense. 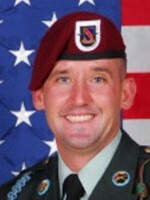 The President of the United States takes pleasure in presenting the Distinguished Service Cross to Stephen C. Sanford, Private First Class, U.S. Army, for extraordinary heroism in action while serving with the 2d Battalion, 1st Infantry Regiment, 172d Stryker Brigade Combat Team, on 19 November 2005, during combat operations against an armed enemy of the United States, in support of Operation Iraqi Freedom. Private Sanford displayed extraordinary courage during the evacuation of casualties from a home in Mosul, Iraq, while under intense enemy fire. Although shot through the leg during his squad's initial assault attempt, he accompanied his squad during their second assault. Once inside the house, he provided a heavy volume of suppressive fire while the casualties were evacuated. He continued to engage the enemy while escorting the wounded Soldiers from the house. He returned to the house a second time to provide vital covering fire and security for the final withdrawal of the casualties. When the last Soldier leaving the house was shot in the neck, Private Sanford, with complete disregard for his own safety, moved to the Soldier and began performing cardiopulmonary resuscitation. While attempting to revive the other Soldier, he was shot twice more in the back. Protecting the fallen Soldier, Private Sanford returned fire and killed an insurgent while receiving two more potentially fatal gunshot wounds. He continued to return devastating fire on the enemy while helping his wounded comrade until he was incapacitated by his own loss of blood. Private Sanford's gallant deed was truly above and beyond the call of duty and is in keeping with the finest traditions of the military service, reflecting great credit upon himself, Charlie Company, 2d Battalion, 1st Infantry, the United States Army, and the United States of America. The President of the United States takes pleasure in presenting the Distinguished Service Cross to Gregory D. Williams, Jr., Sergeant, U.S. Army, for extraordinary heroism in action while serving with Mortar Platoon, 1st Battalion, 17th Infantry Regiment, 1st Stryker Brigade Combat Team, 25th Infantry Division, Multi-National Corps-Iraq. 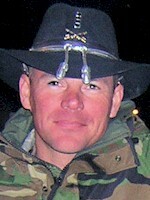 Sergeant Williams distinguished himself as a Squad Leader on 30 October 2006, while engaged in combat operations against armed insurgents in Baghdad, Iraq, during Operation IRAQI FREEDOM. While his platoon was patrolling Baghdad's Huriyah neighborhood, they were ambushed with an array of explosively formed projectiles, small arms fire, and rocket propelled grenades. After being burned, wounded, and knocked temporarily unconscious, Sergeant Williams began to engage the enemy with his M4 carbine. Under heavy enemy fire, he recovered his immobilized platoon leader from the smoldering Stryker vehicle, then returned to the vehicle to man the .50-caliber M2 machinegun despite the threat of exploding ordnance and enemy fire. By establishing fire superiority against the enemy, Sergeant Williams freed other Soldiers who had been pinned, which allowed them to administer first aid to his wounded and burned comrades. Sergeant Williams' valorous actions and bravery, which saved his platoon leader's life and forced the enemy to flee, are in keeping with the finest traditions of the military service, reflecting great credit upon himself, his command, and the United States Army. The President of the United States takes pride in presenting the Distinguished Service Cross (Posthumously) to Keith Yoakum, Chief Warrant Officer 4, U.S. Army, for extraordinary heroism in action while serving with Company A, 1st Battalion, 227th Aviation Regiment, 1st Air Cavalry Brigade, Multi-National Corps-Iraq. 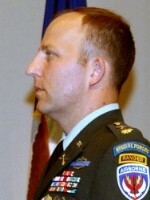 Chief Warrant Officer Four Yoakum distinguished himself as a Pilot of an AH-64D Longbow Apache Helicopter on 2 February 2007 while engaged in aerial operations in Baghdad, Iraq, during Operation IRAQI FREEDOM. During a reconnaissance mission, Chief Warrant Officer Four Yaokum's aircraft was seriously damaged by heavy enemy machine gun fire, which required him to land immediately. Without regard for his own safety and to protect his comrades, Chief Warrant Officer Four Yoakum chose to remain with his wingman to destroy the enemy. With his main gun inoperable, his only option was to climb in altitude and then dive while firing his Apache's rockets. Ultimately the aircraft succumbed to its battle damage and crashed. 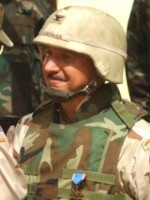 Chief Warrant Officer Four Yoakum's distinctive accomplishments and dedication to service to his country are in keeping with the finest traditions of the military service, reflecting great credit upon himself, the 1st Cavalry Division, the Multi-National Corps-Iraq, and the United States Army.